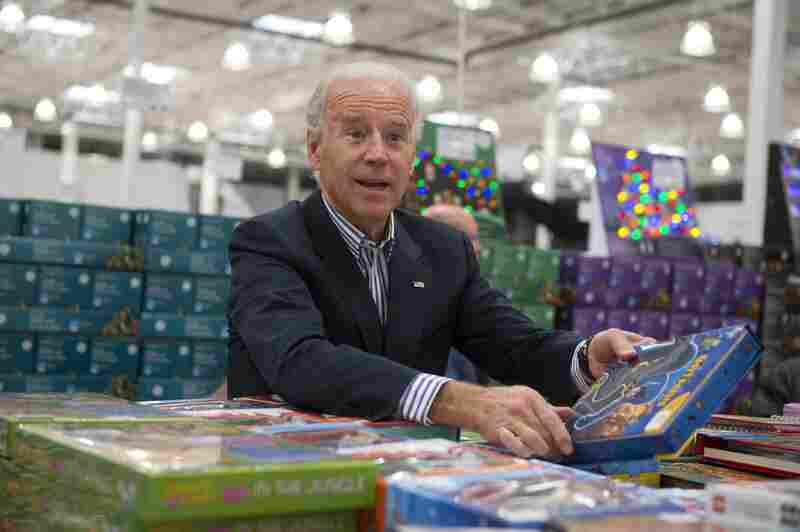 Does Anybody Have More Fun Than Joe Biden? Check These Photos : The Two-Way The vice president had to talk some about taxes and spending cuts while he was there. But it looked like he just wanted to shop today at Washington, D.C.'s first Costco store — and was having a really good time doing it. 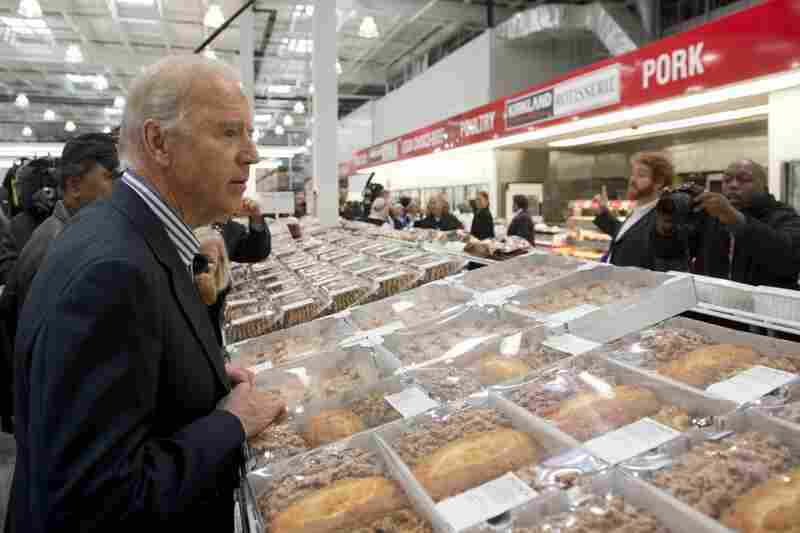 The vice president visited Washington, D.C.'s first Costco store on Thursday (Nov. 29, 2012). He seemed to have a great time. 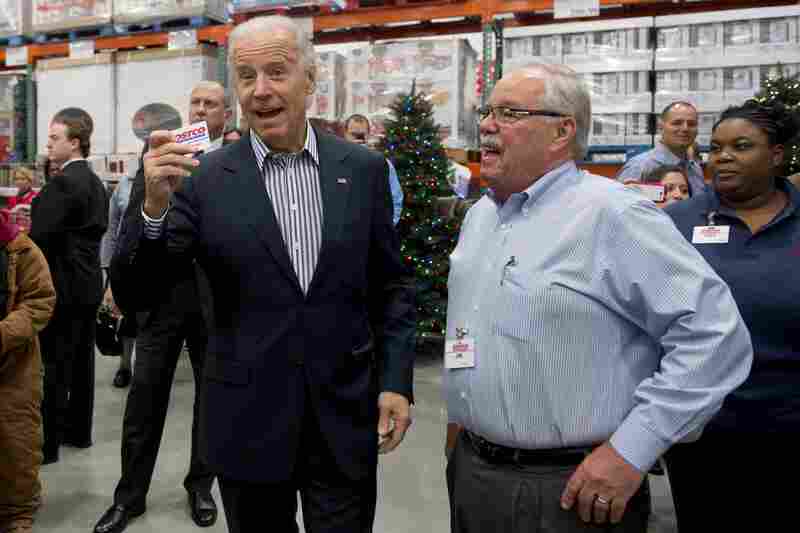 The vice president came prepared with his Costco card. At right: Costco co-founder Jim Sinegal. 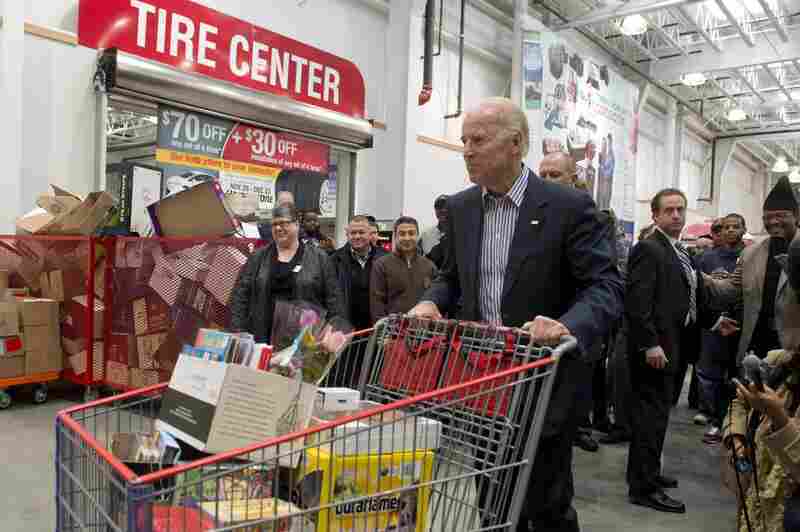 Among the things Biden focused on during his shopping trip: books for a charity in his home state of Delaware. "Which pie? Which pie? Which pie? Which pie to choose?" Yes, he talked about the negotiations over taxes and spending cuts. Yes, it was a holiday photo op. 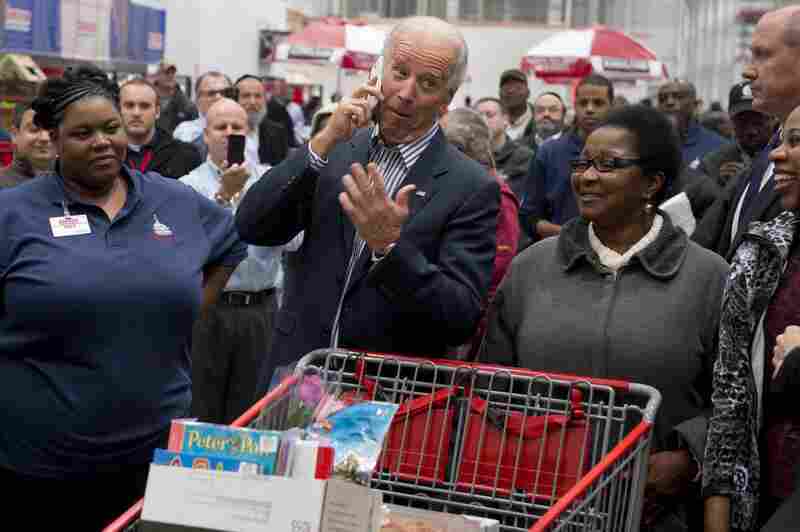 But what really struck us about Vice President Joe Biden's this morning to Washington, D.C.'s first Costco store was how, once again, he just seems to have so much fun. We think a picture gallery is in order.